IFSC Code means Indian Financial System Code. 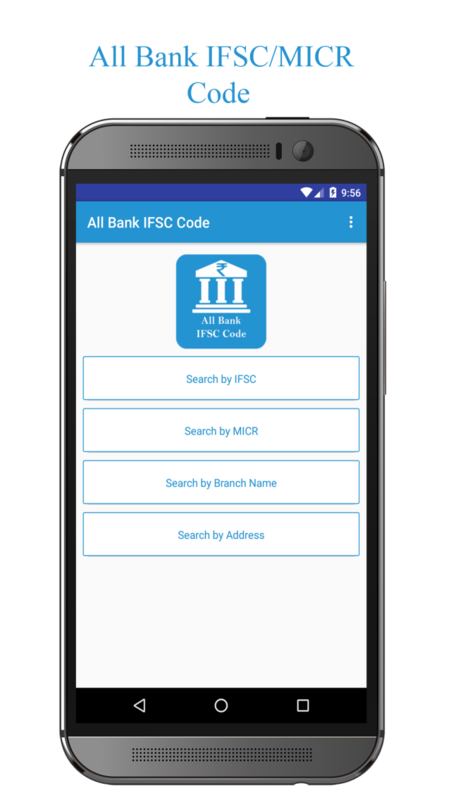 IFSC Code is an alphanumeric code that facilitates electronic funds transfer in all India Bank. This app is really helpful to find Bank-wise lists of IFSC Codes that are available offline with all the bank-branches detail. App contains all the banks details those are regulated by Reserve Bank of India (RBI). 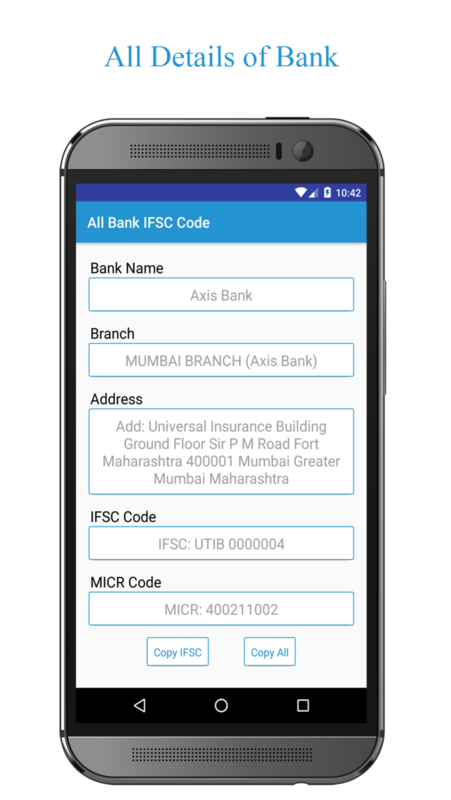 You can get information of bank using Bank Name, IFSC code, MICR code, Branch Address. IFSC code use in NEFT, RTGS, IMPS and UPI. All this information is at your finger tips when you needed. You can also copy the IFSC/MICR Code and share any Social network like WhatsApp, Facebook, Skype, Wechat, Gmail and much more. Few List of India Banks. The Ahmedabad Mercantile Coop. Bank Ltd. The Gujarat State Coop. Bank Ltd.